Okay, so I’m behind on my blog. The dodge broke down before we got to SLC so it’s a good time to catch up. At least it had the descency (sp?) to break down in a Rest Area. We were able to look up a phone number, of a Dodge dealer in Tooele, from our GPS. Not sure what’s wrong with the Dodge. It was running fine until we slowed down to park. Then it started running rough. Don kept the rpms up then let off the gas pedal and it choked and sputtered and stopped with a puff of smoke out the tail pipe. We have emergency roadside coverage on our insurance so we’ll be spending tonight Tooele, UT. Guess we’ll rent a car if we need to – gotta see those grandkids! We left Woodhead Park and continued south on Hwy 95 to Fruitland. 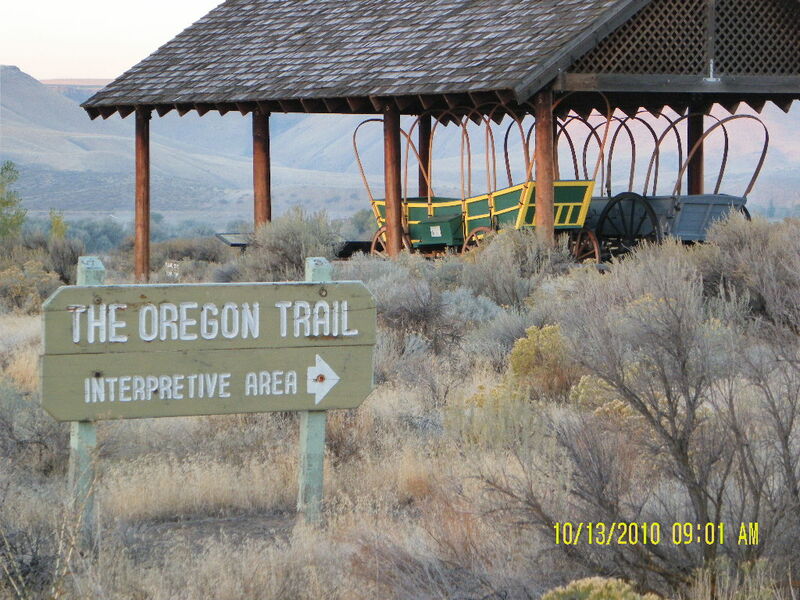 Then we hopped on I84 East to Glen’s Ferry. 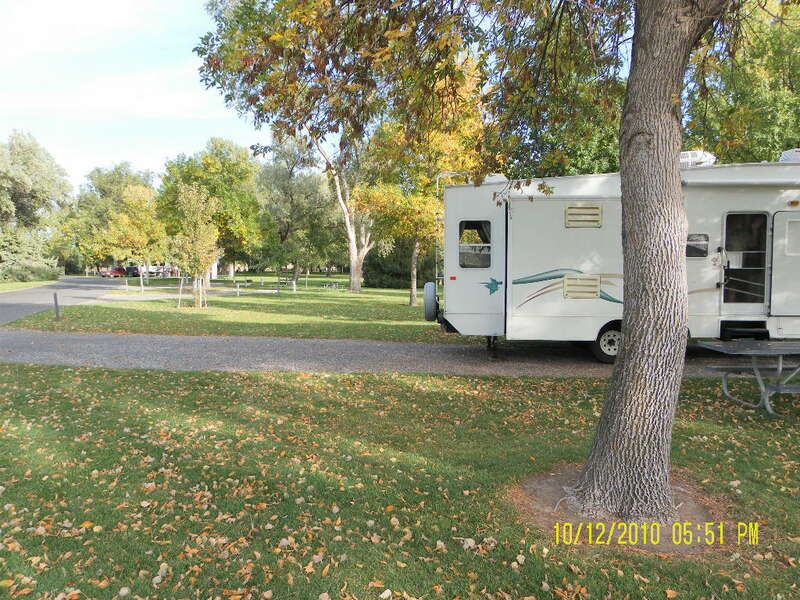 We were headed towards a 50% off Escapees discount RV park but found this Idaho State Park first. 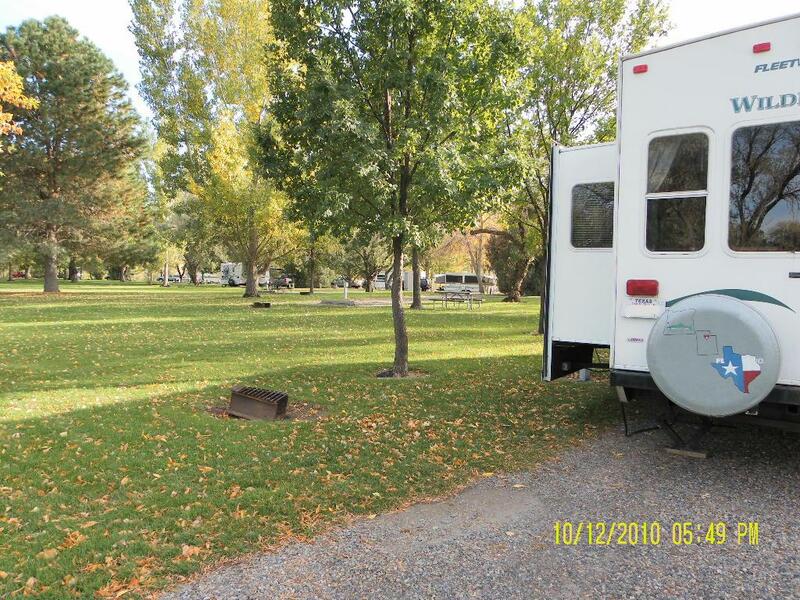 We prefer campgrounds to RV parks anyway. The weather is turning cold but this park is still green and lush. Three Island Crossing State Park is open year round but they’ll turn the water off before it freezes. We asked for a site overlooking the water and they gave us 18. But he said to look at 6 on our way by. We took 6 because we couldn’t see the water from the distance anyway and it wasn’t as crowded around 6. We paid $23 for elec and water hookups.